See the staged reading of Prom Queens this Friday or Saturday night at Provincetown Theater. 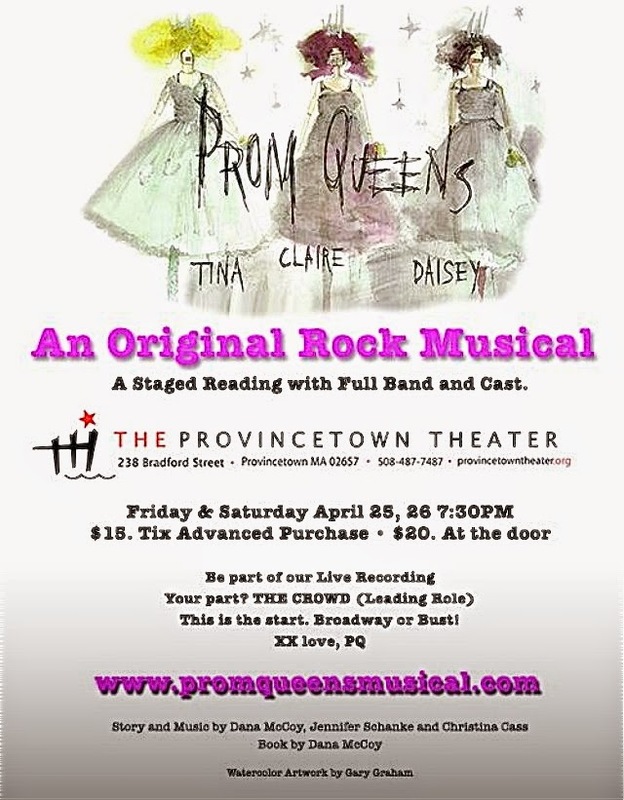 As the poster above tells us, this production of Prom Queens will be a staged reading of an original rock musical, running two nights only, at the Provincetown Theater, at 238 Bradford Street. Performances will be tonight (Friday, April 25th) and tomorrow (Saturday, April 26th) at 7:30 PM. It's an upbeat, very funny story about a woman's struggle in the music industry, so naturally, it's full of music, all original tunes written for this play. 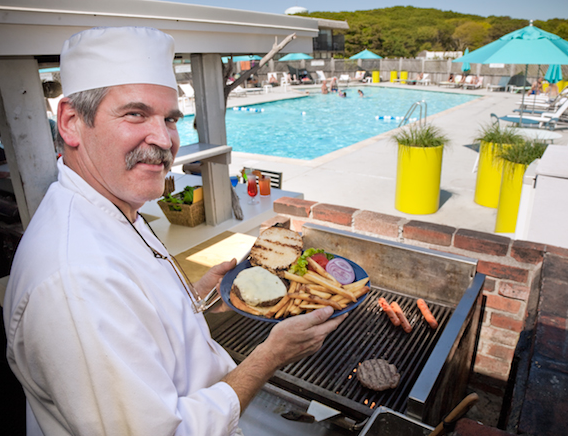 One of the producers, Provincetown artist Patty DeLuca, calls it a high energy, feel good show that will recharge your batteries. Patty will appear in the part of Tina, one of the main characters in the play, which features a full band and cast to bring it to life. The story and music were written by DanaMcCoy, Jennifer Schanke and Christina Cass, with the book written by Dana McCoy. If there is a great enough response to these staged readings of the play, it is hoped that a full-fledged production will be mounted one night a week over the summer, and if that venture proves successful, it could lead the production to New York City. Tickets are $15 in advance, or $20 at the door. Call the box office at 508 487-7457, or get tickets online at provincetowntheater.org. See you at the theater!